The Harvard-wide library system has a $150 million fundraising goal under the University’s $6.5 billion capital campaign, and has raised $52 million toward that amount, Sarah E. Thomas, the vice president for the Harvard Library, told the Faculty of Arts and Sciences at the body's monthly meeting Tuesday. 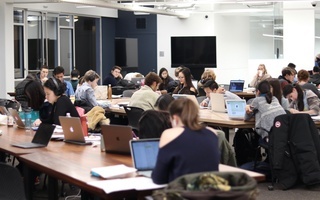 She said campaign funds would be used to support ongoing initiatives within the library system, including digitization efforts, the preservation of collections, the conversion of library spaces for innovating teaching practices, and recruiting data science and visualization specialists. 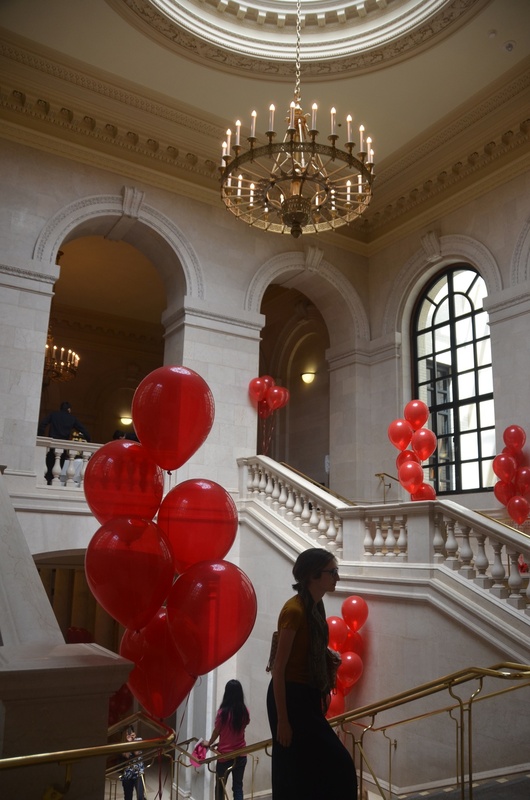 Visitors walk among red balloons at Widener Library last June. Administrators commemorated the 100th anniversary of the library's founding with a celebration. Recent gifts include a $500,000 donation to support innovation in the libraries and another gift to support archiving endangered films. Thomas will travel to New York Wednesday to meet with an advisory committee for the campaign, she said at the faculty meeting. Along with being vice president for the Harvard Library, she also heads the FAS library system and was appointed University Librarian after the departure of Robert C. Darnton ’60 this past June. Faculty members received a Harvard Campaign brochure focused on the library system prior to the meeting, along with a document outlining recent initiatives and large budgetary savings that follow a multi-year restructuring effort completed in 2012. 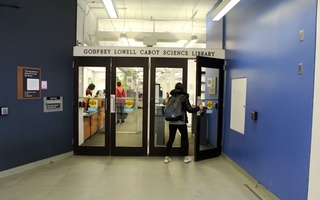 Thomas also spoke about other library system initiatives, such as the renovation of Cabot Library and ongoing discussions regarding “cutting edge services” in planned library spaces at a new Allston-based campus for the School of Engineering and Applied Sciences. Two-thirds of the SEAS faculty are expected to relocate there in 2020, although details remain in flux. 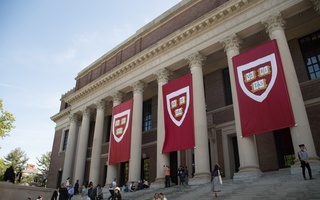 “The world’s knowledge output is so voluminous that it is impossible for any single institution to contain it,” Thomas said, meaning the ability to share resources between Harvard and other libraries is a priority. 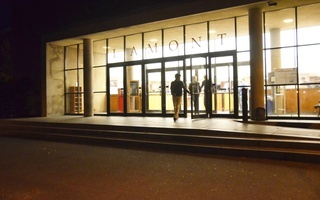 She cited as an example a collaboration with Columbia, Princeton, and the New York Public Library system to operate a depository on Princeton’s campus. 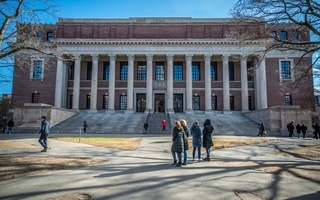 Planning for the depository has been ongoing for about 18 months, and library administrators will soon bring the proposal before the Harvard Library Board, an oversight group of faculty and University administrators. Harvard’s library system is the largest university library system in the world, containing more than 19 million volumes across 73 libraries. Founded with a 400-book bequest from English clergyman John Harvard in 1638, it adds 5,000 new volumes every week, according to Thomas.